Dudhsagar , located near the Karnataka Goa border , is a must visit place for real tourists & trekkers . Dudhsagar Falls is a tiered waterfall located on the Mandovi River in the Indian state of Goa on Goa's border with Karnataka state . 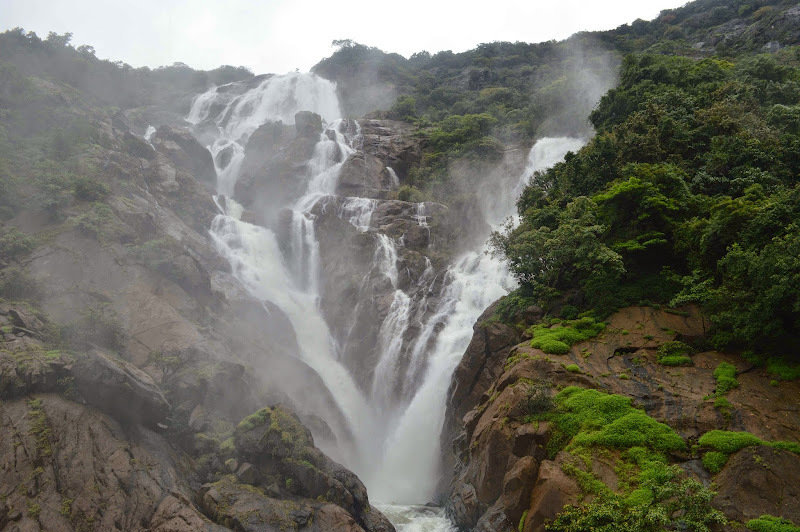 Dudhsagar Falls is listed as India's fifth tallest waterfall and is 227th in the world at 310 m. Dudhsagar , is a beautiful water falls located in a remote area , Reaching Dudhsagar falls is as adventurous & thrilled as seeing the falls !